Home › News › 12% Discount on Amazon Expires Today! 12% Discount on Amazon Expires Today! Hope you had an awesome week! I wanted to send out a quick reminder about our current coupon: PHAMAZON that's available for a 12% discount on pHenomenal Water products on Amazon. We know that some prefer to order pHenomenal off of Amazon since they may be more comfortable with it or it's just more convenient, so we want to make sure you receive "pHenomenal" deals as well! So take advantage of this coupon now, as it will expire at the end of today Friday, May 27th. When you do purchase through Amazon, if you wouldn't mind leaving feedback on our products, it would be greatly appreciated! We are really trying to boost our product sales on Amazon, and we can only do it with your help! Thank you for your continued support and interest in pHenomenal Water. Have a fantastic weekend! 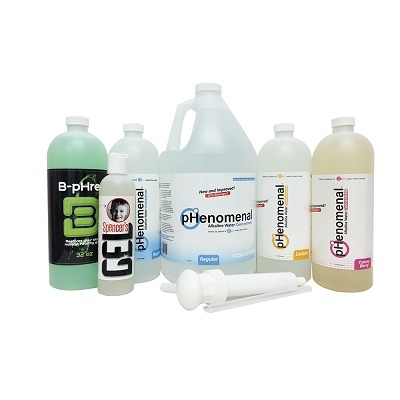 Save 12% on pHenomenal Water products when you order through Amazon!